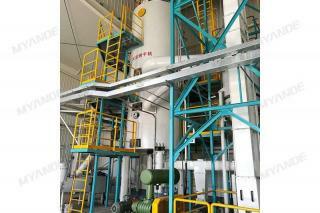 Interested in Oilseed Vertical Cooker ? Choose Myande Group Co., Ltd.
Oilseed Vertical Cooker - Myande Group Co., Ltd. is the best Oilseed Vertical Cooker supplier in China. 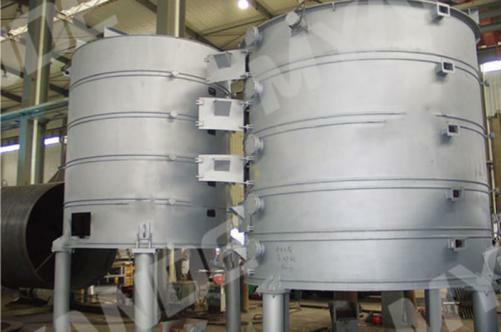 Myande oilseed vertical cooker is specially designed for heating and cooking corn germs and soybean for the purpose of improving oil extraction efficiency and oil quality. Constant technical innovation and reliable workmanship ensures its high reliability and stability. 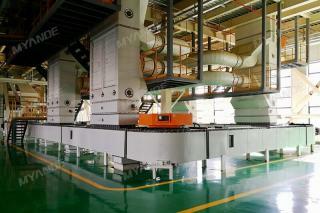 With specially developed automatic control system, Myande oilseed vertical cooker is suitable for long-time continuous operation. 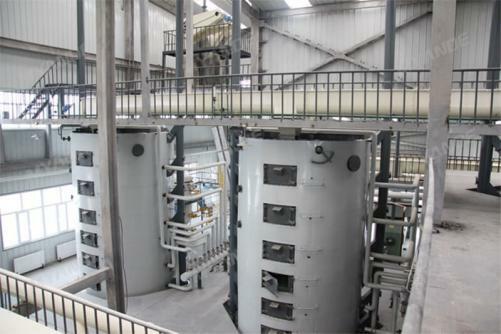 ◎ The jacket is fabricated according to technical standards of pressure vessels using high quality material with excellent wear-resisting property and ideal heat transfer coefficient. ◎ Complete with reliable level indication device that facilitates regulation of material deck height. ◎ Optimized automatic gate design capable of free adjustment of height and opening range. ◎ Number of decks to be determined according to capacity requirement. ◎ Complete with adjustable water spraying device.